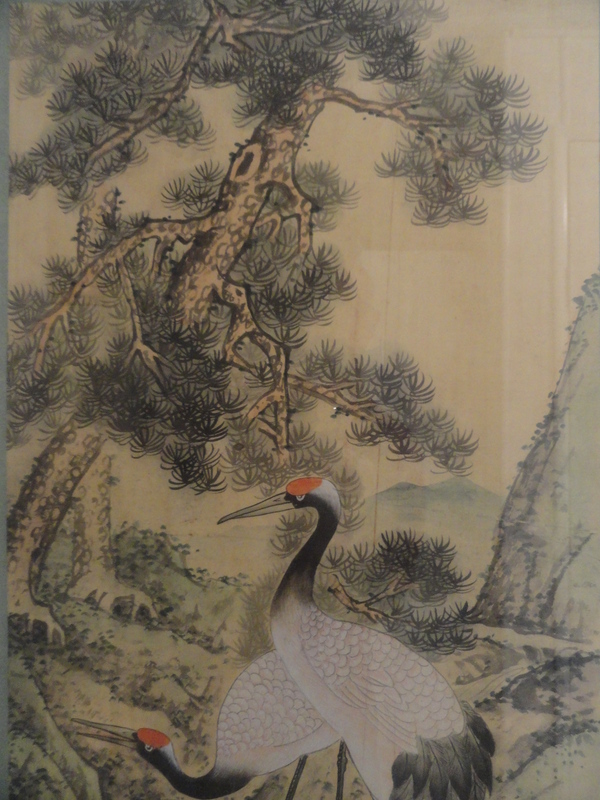 Here’s a 19th century painting of Qing Dynasty Cranes that I came across several years ago. 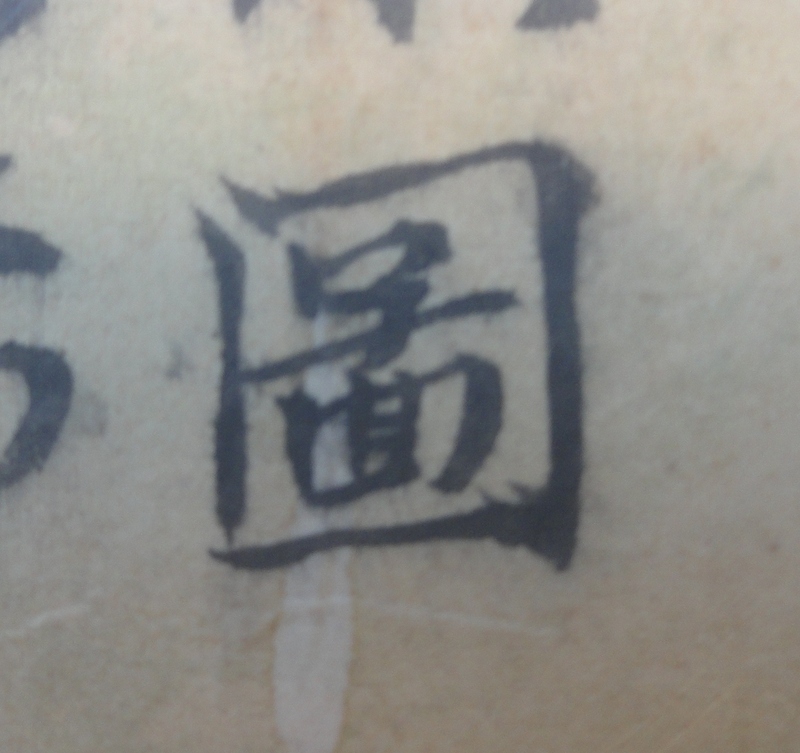 I was told it was Qing Dynasty by someone at one of the leading auction houses, but that’s about all I learned at that time, since they were in New York, and I’m near San Diego. What I would like to know is what the red markings represent, and who it might be by, as well as when it may have been created. 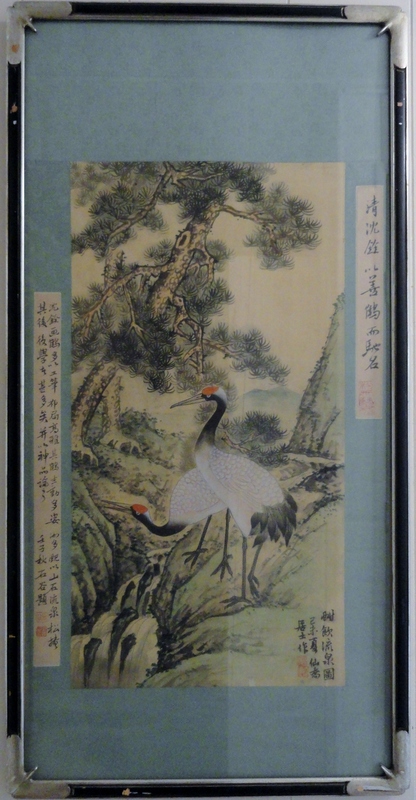 As you can see from the custom frame, with corners that mimic the Red Crowned Cranes beaks, and the special mat used with the frame, this painting received some nice attention when it was first framed. 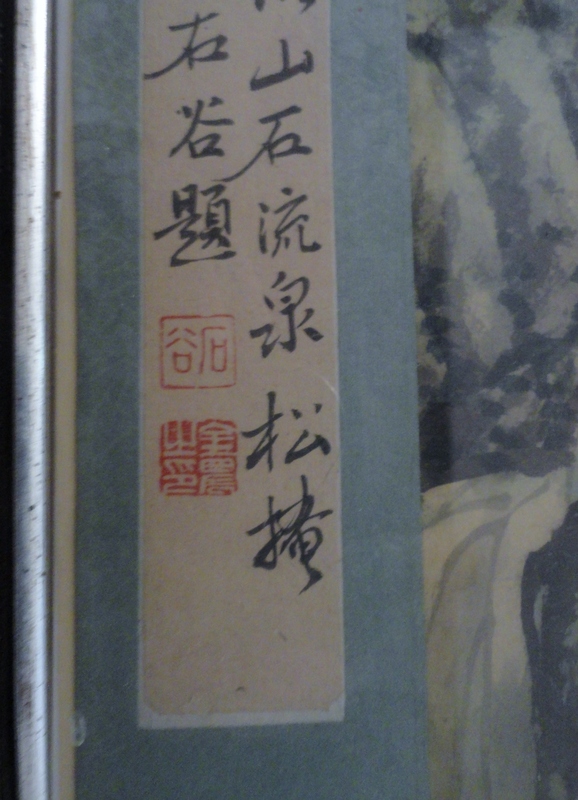 Looks like a watercolor to me, but I’m not an expert in asian art, though I seem to have an affinity for works from China, Japan, and Korea. I’m going to number the red chopmark photos, so that if anyone wants to comment on what they represent, they can also refer to what they are commenting on by the images number. I’m very interested in learning more about this piece that I’ve been enjoying for a few years now. 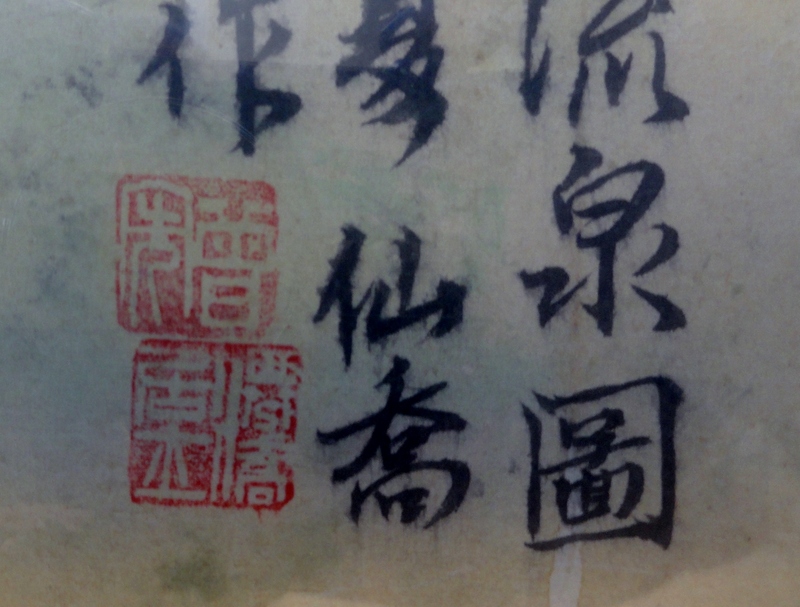 Here’s your homework assignment for anyone reading this post that has an interest, and some knowledge about Qing Dynasty art and artists. What, and/or who, do the red chop marks represent? I’d really like to know. 1. Red chopmark on left side of frame as you view the image. 2.Red chop mark on the lower left side of the framed art work. 3. 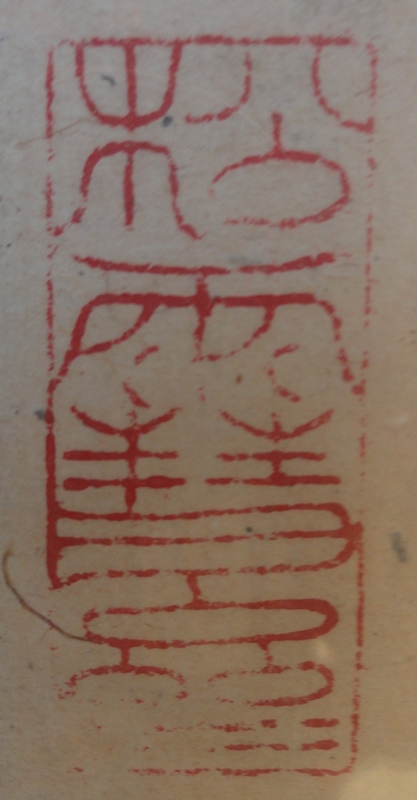 Red chop mark on the upper right hand scrolled letter strip. 4. Signature in black ? Here’s a closer look at some of the detail of the crane, where you can see the brush strokes on the feathers. 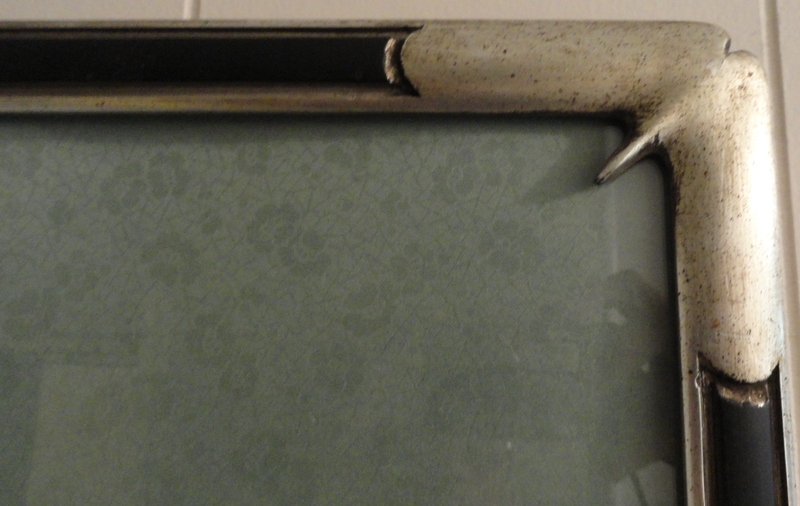 And here’s an image of one of the custom made frame corners that mimics the cranes beak. Please leave a comment if you know what the red chop marks represent , or mean.